Product #20642 | SKU 4018A | 0.0 (no ratings yet) Thanks for your rating! Designed for a broad range of music recording and long-distance use. The 4018A Supercardioid Microphone with Clip and Windscreen from DPA Microphones is for capturing professional-grade audio. It is designed for a broad range of music recording and long-distance broadcast/ENG/film making applications such as booming, dialogue, interview and table or spot-recording use. It features a supercardioid capsule and has a frequency range of 20 Hz to 20 kHz. It is powered by 48V phantom power. This 4018A features a uniform and well controlled supercardioid pattern that provides high separation without odd off-axis frequency peaks and dips. This provides an even sound around the microphone. The rear lobe pattern on this mic is minimized making it much more isolated. 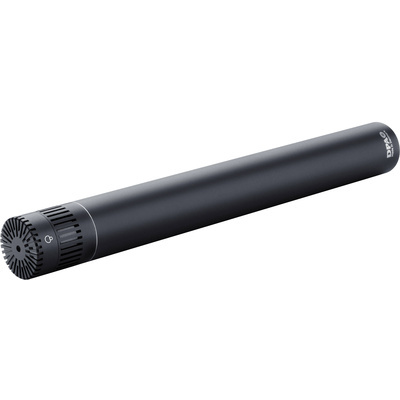 The 4018A is ideal for use as a spot or hanging mic for orchestra recording situations. A mic-clip and windscreen are included.